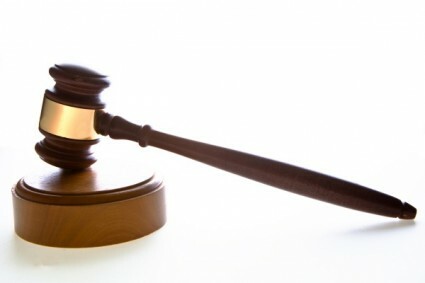 One of the benefits of having an experienced criminal defense lawyer who is knowledgeable not only about statute, but also about local procedures, policies and players is you have an inside track on what you can generally expect from certain judges, prosecutors and courthouse rules. Some judges may have a reputation for strict adherence to certain dress codes, while others may be a bit more relaxed. Courts are often foreign to many criminal defendants, so knowing exactly what to wear, when to arrive, how to act and how/ when to address the court is important. One thing you will find most judges lack patience for is tardiness. Being on time is essential, and if you don’t have a very good reason for being late or missing a court appearance, you could face serious consequences. It could even result in an additional arrest. Recently in South Dade, a defendant in a DUI with serious bodily injury case was slated to take a plea bargain, but all that fell apart and she is now facing many more years behind bars – because she was late to court, and the judge was frustrated with her behavior afterward. The Miami Herald reports defendant was prepared to accept a term of four years in prison in exchange for her guilty plea. F.S. 316.193 allows up to five years in prison for DUI serious bodily injury (which is a third-degree felony). However, along with her other charges, she faces up to seven years in prison under sentencing guidelines. Defendant struck a plea deal after she allegedly drove her SUV into a baseball field and rammed into a popular principal as he coached his son’s little league championship game. Victim was pinned under the vehicle, and suffered severe personal injuries – to the point he almost died. He has since undergone 100 blood transfusions and 20 surgeries. Both legs have been amputated. Defendant’s blood-alcohol concentration reportedly exceeded three times the legal limit. Then, just before the sentence was going to be entered, defendant spoke out in complaint of her previous defense attorney and stated that she wish she would have “had a lot more time.” The prosecutor then fired back that defendant didn’t have to accept the plea deal, prompting the judge to respond by taking it a step further – taking the deal off the table entirely. Instead, she set the case for a December trial. Now once again, she is facing seven years in prison. Now, there are some cases where it makes sense to take it to trial. However, in cases where the evidence against a defendant is pretty overwhelming and there isn’t much in the way of mitigating circumstance, a plea deal can be a way to ensure you serve far less than the maximum. What you don’t want is an exasperated judge stripping you of that option just because you slept in and didn’t make it to court on time. If you are arrested for DUI in Fort Lauderdale, it’s important to talk with your attorney not only about your legal strategy for defense, but also the expectations of courtroom decorum.